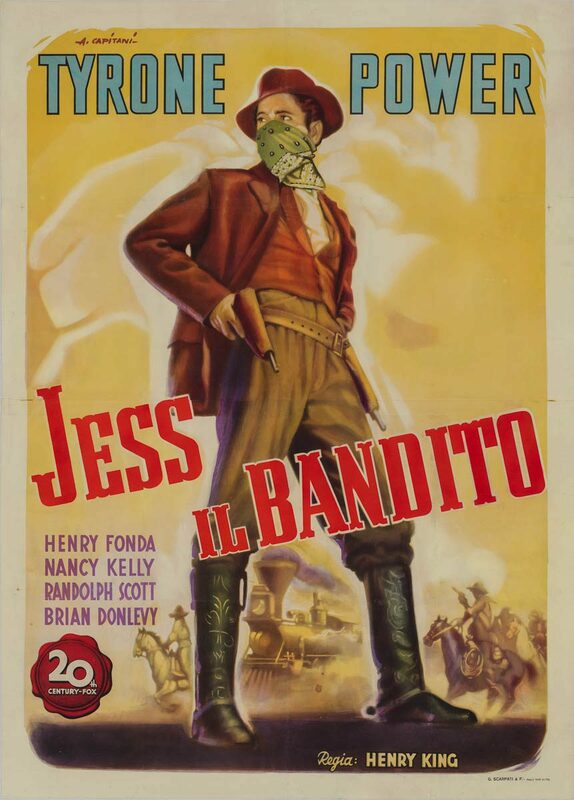 Film Plot: After railroad agents forcibly evict the James family from their family farm, Jesse and Frank turn to banditry for revenge. Grade: C7	Fine to Very Fine. Folded, single-sided. Prior to linen-backing this was a theater used poster with minor handling/edge/surface wear, pinholes in the corners, small chips along the horizontal folds and some tempra paint on that back that did not show through to the front, now appears very fine. 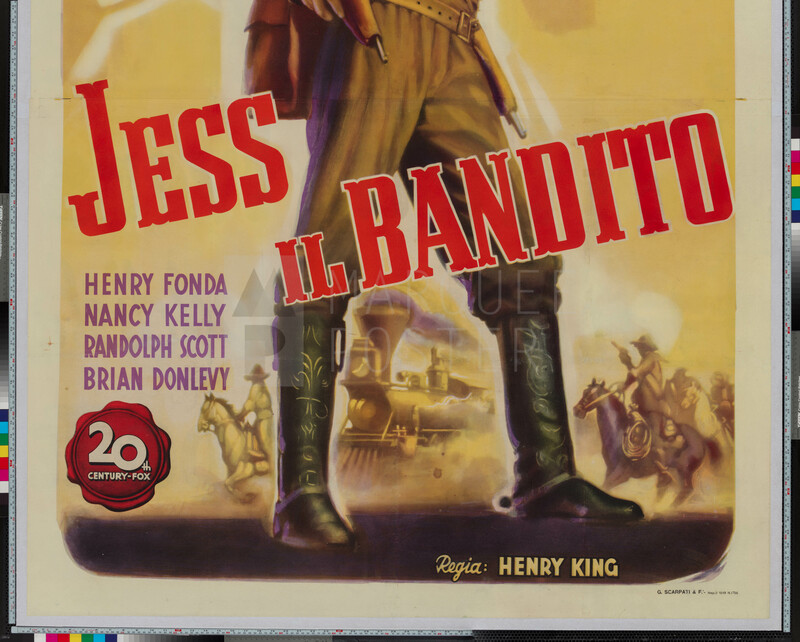 This is easily one of the best western posters ever made! 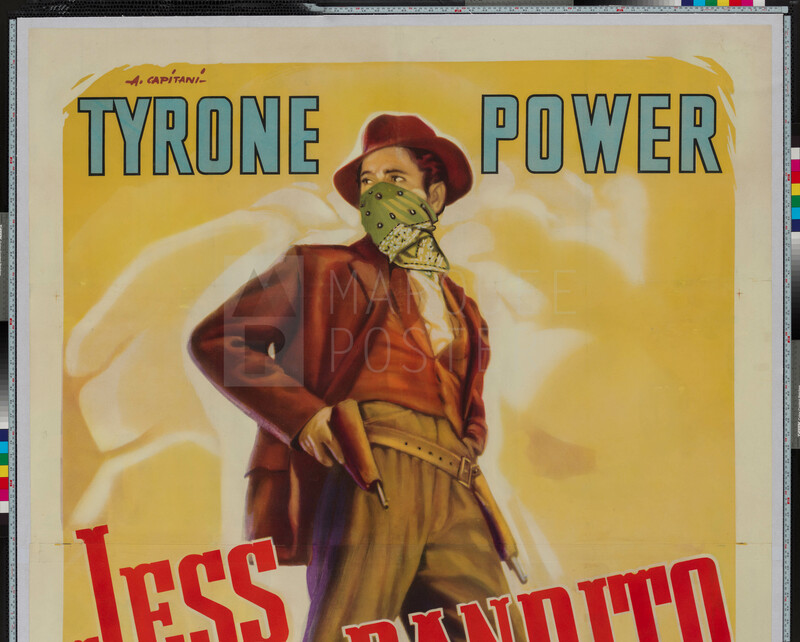 The Capitani art of Tyrone Power as the titular anti-hero, Jesse James, is simply breathtaking — especially when you consider the massive size of this poster. Including the linen backing it’s nearly 7 feet tall and 5 feet wide. This huge Italian 4-foglio would a make an imposing statement in any room! Perfect for your mountain lodge in Jackson Hole!